As the liquid oil is in these rare crystals is the condensed solar energy of billions of ancient trees and sea creatures, Golden Enhydros are extremely energetic. Sunshine in a crystal! 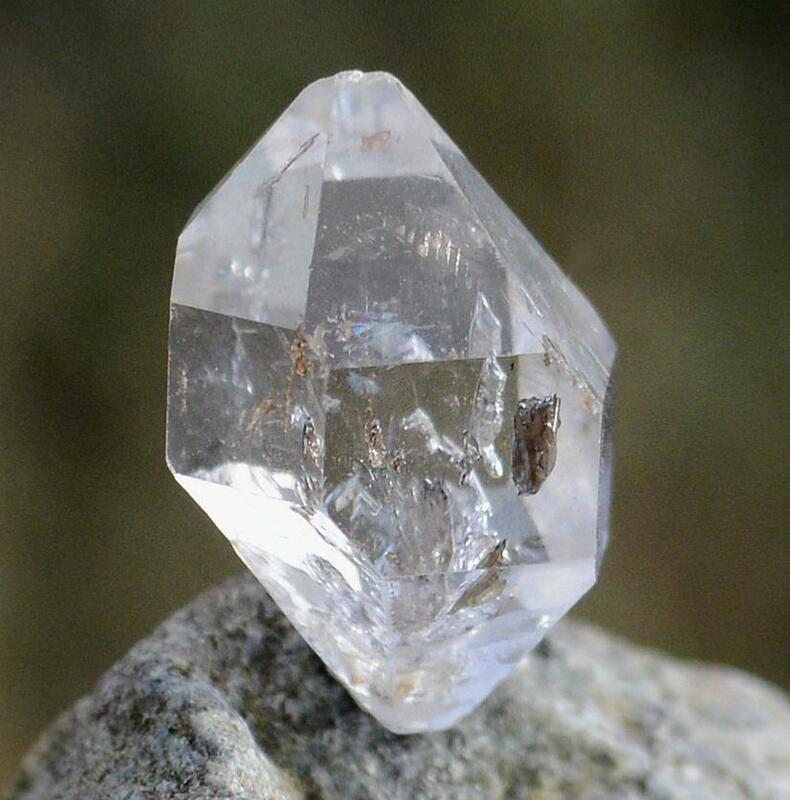 "Golden Enhydro Herkimers contain bubbles of liquid oil millions of years old, Enhydros symbolise the collective unconscious underlying and uniting everything, bringing about deep emotional healing and transmutation. Golden Enhydro Herkimer is a rare stone that is incredibly energetic. An excellent developer spiritual gifts that stimulate the third-eye, clearing implants and removing restrictions placed on spiritual sight in this or any other life. 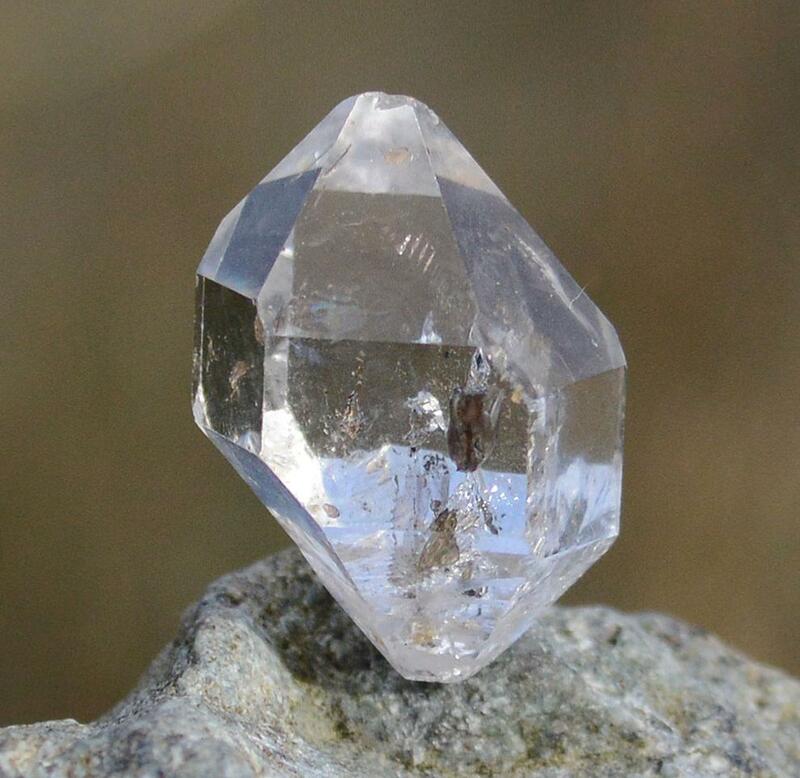 A powerful healer for the solar plexus and for emotional disturbances that have been carried over many lifetimes, Golden Enhydro cleanses the emotional body blueprint, creating emotional wellbeing.” Judy Hall, Shamanic Crystals. Golden Enhydros naturally form as small Herkimers (bright, stout DT's) and average around 12mm, 6 cts. At double that, this is considered a large Golden Enhydro.